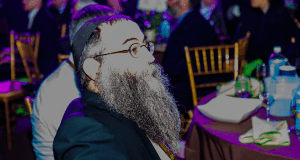 5,600 Chabad-Lubavitch Chasidic rabbinic emissaries and communal leaders from 90 countries, hailing from as far away as Bangkok, Kenya and Australia are gathering in New York for the International Conference of Chabad-Lubavitch Emissaries. The event is considered the largest Jewish gathering in North America. This year’s conference carries added significance as the North American Jewish community marks 75 years since the Lubavitcher Rebbe—Rabbi Menachem M. Schneerson, of righteous memory—and his wife, the Rebbetzin Chaya Mushka, of righteous memory—arrived on U.S. shores from war-torn Europe in 1941, setting into motion the world’s most vigorous Jewish outreach program in history. 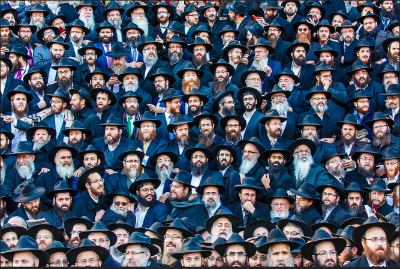 They continue the legacy of the Rebbe, Rabbi Menachem M. Schneerson, of righteous memory, who spearheaded a global Jewish revival after the Holocaust while expounding upon the Jewish teachings of Talmud and mysticism. Universally known simply as the Rebbe, Rabbi Schneerson is considered to be one of the most remarkable personalities of the 20th century. Although he passed away twenty two years ago, the Rebbe’s legacy remains as strong as ever.